Your business property should mirror the pride you hold for your business. Well-kept grass, clean parking lots, and clean sidewalks reflect well on your business and make a statement to your customers and clients. Before a customer comes through your door, you’ve already made an impression. The fact is, the condition of your parking lot says a lot about your brand “Well maintained and easy to navigate, or “neglected and mismanaged.” Your parking lot reflects on your company’s brand. And customers notice! 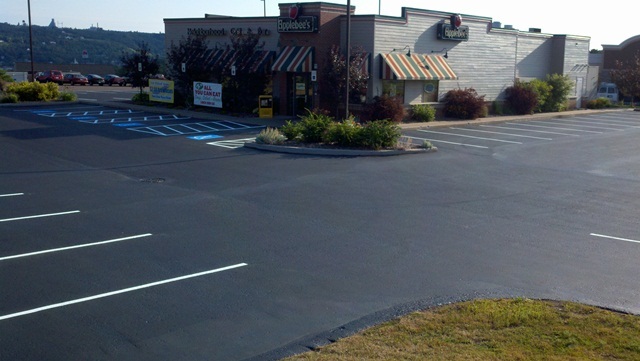 Sealer King will provide you with a custom designed, comprehensive pavement maintenance program that will extend the life of your parking lot, as well as help enhance your brand’s image. You never get a second chance to make a 1st impression. It's your investment. Demand the best!